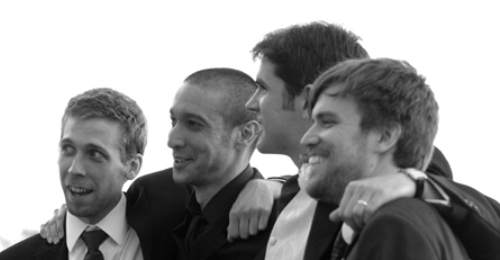 Following on from yesterdays feature on Hello Games and their new game Joe Danger, we were lucky enough to grab the four friends living their dream for an interview about life, the universe and just about everything. Q. Was it scary stepping into the unknown and walking away from established developers and going it alone? Q. The success of digital distribution via areas such as Xbox Live Arcade, Indie Games and iTunes has once again made it possible for anyone to create something unique and bring it to the masses, Do you think this will continue or will it go on to become quite corporate eventually too? Q. Time and time again Independent developers prove that gameplay and the fun factor is more important than striving for outstanding and realistic graphics. Is this a conscious decision? Q. What are your core philosophies as developers? Q. Have you ever ventured onto “Indie Games” on Xbox live? Have you uncovered any hidden gems? Q. Do you prefer playing games or creating them? Hello Games bring you Joe Danger! Q. Did Rob the Tesco Delivery man really bring Hello Games to its knees and if so how? Q. Are there any other projects, ideas on the horizon from Hello Games, after the release of Joe Danger? “We’re 100% focused on Joe Danger at the moment and I can’t even think beyond that at the moment. I just want to see people sitting down and playing our games. When you spend every waking making games you really end up not talking about anything other than games we’re playing, ideas for Joe Danger and what other things we want to make. Q. In these times of quick soundbytes, do the very lazy comparisons of Joe Danger and Trials HD annoy you? “We love it really, lots of people like Trials, so we’re totally cool with that comparison. Once people actually play Joe Danger, they tend to be reminded of other game’s though, games like Excitebike, Paperboy, Crazy Taxi, Sonic. Those are certainly the kind of titles we’re inspired by, old school classics. Q. Where did the name Hello Games come from? Q. Growing up what games inspired you? “Lots… everything. I played an awful lot of games as a kid. 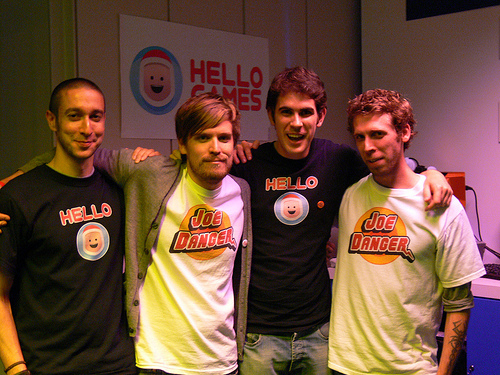 It’s funny though, designing Joe Danger, we talked about toys and cartoons as much as we did other games. I guess it’s kind of hard to talk about games though without using comparisons, and referencing other games. We come from that generation, we grew up with the SNES and Sega Genesis, so those games are our cornerstones. I loved the fact that those early consoles had more quirky, slightly surreal and imaginative games at the top of the charts too. Games like Toejam and Earl or Earthworm Jim were diverse and charming in a way that you don’t really get now. Q. Has art director Grant Duncan ever been mistaken for Bez from the Happy Mondays? Q. Although you are four friends that are living the dream, have there been any creative differences or tears and tantrums along the way? Q. As Digital Distribution grows, do you think we have entered the era of independent games? Q. Is there a release date for Joe Danger yet? Q. If you could change one thing about the games industry, what would it be? Q. If you weren’t working in the games industry, what would you be doing? Q. How was Joe Danger received at the Independent Games Festival? Q. Finally, who won win in a fight between an Kangeroo and a Giraffe? Entering a conversation about zoo animals with a bunch of guys is never a wise move, especially in an interview, so I thank all at Hello Games for their time and will be keeping a very close eye on the the future exploits of Joe Danger.